Most grasshoppers are omnivorous. This means they eat plant matter, but will also dine on dead animals and catch insects. In turn they are the food source for reptiles, birds, mice and other insects. 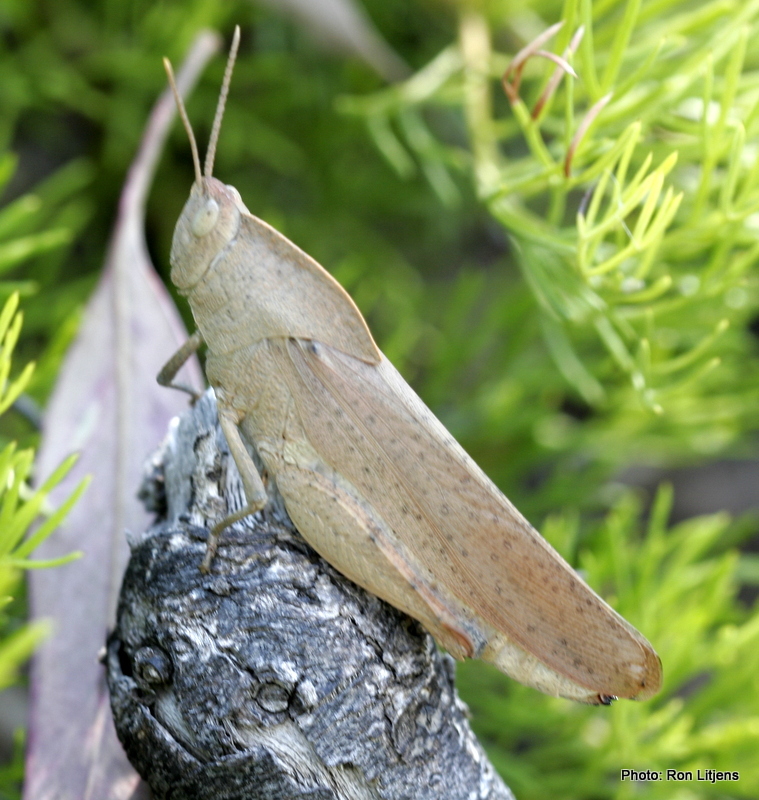 In many countries grasshoppers are a high-protein part of the human diet. Grasshoppers are eaten raw or boiled, dried, fried, with soy-sauce: you name it. The main defence mechanism of the grasshopper is to use camouflage to hide from predators. 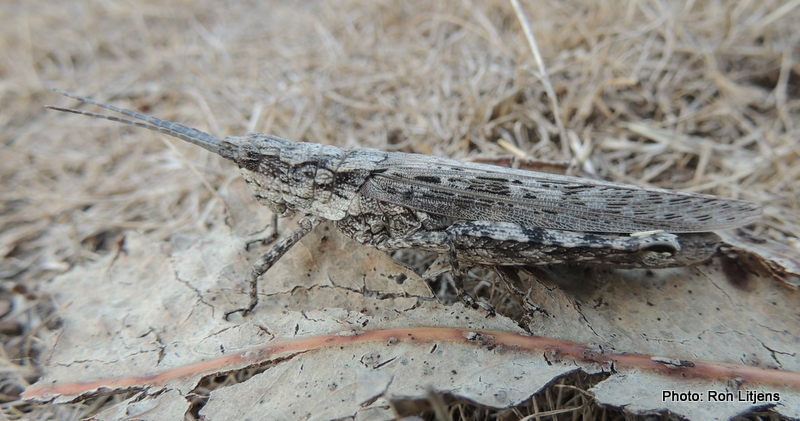 Pictured (above) is the Bark-mimicking Grasshopper (Coryphistes ruricola), which even at close range is difficult to distinguish from its surroundings. This Gumleaf Grasshopper (Goniaea australasiae) (right) has been photographed away from its preferred dried gumleaf backdrop, and therefore is easily seen. Tempting as this juicy, crunchy little morsel looked, I had a vegemite sandwich for lunch instead.